Repetto ballet shoes are not just shoes, they are a myth: Do you remember Brigitte Bardot in “And God Created Woman”? Of course you do. You remember her legs and probably you remember the ballet shoes she was wearing so gracefully: her Cendrillons! After her came Serge Gainsbourg with his Zizi, a model with shoelaces, worn without, of course. The rumour goes that he had 30 pairs every year. What do you need more to create a myth? BB & Gainsbourg? Well, these ballet shoes apparently are quite charged with 20th century French culture and until today they have kept this aura of something so stylish, so comfortable, so French! The story of Repetto started in 1947, when Rose Repetto began to sew ballet slippers and pointes for her son who came home from the rehearsals with bloody feet. It was nobody else than Roland Petit, 23 years old back then, a young dancer and choreographer at the beginning of his promising career. He quickly sent his friends Rudolf Nureyev and Maurice Béjart to his mother, and she didn’t need a business plan. With a bit of imagination a version was born that was suitable for the streets of Paris and for the Vespa rides in St-Tropez. But the Repetto brand hasn't always been successful. After the death of Rose, a strong woman on top of the factory was missing. In 1999, Jean-Marc Gaucher, former head of Reebok’s French office, bought the company and within short time transformed the simple ballerines into a symbol. Within a decade he increased the turnover eight times. 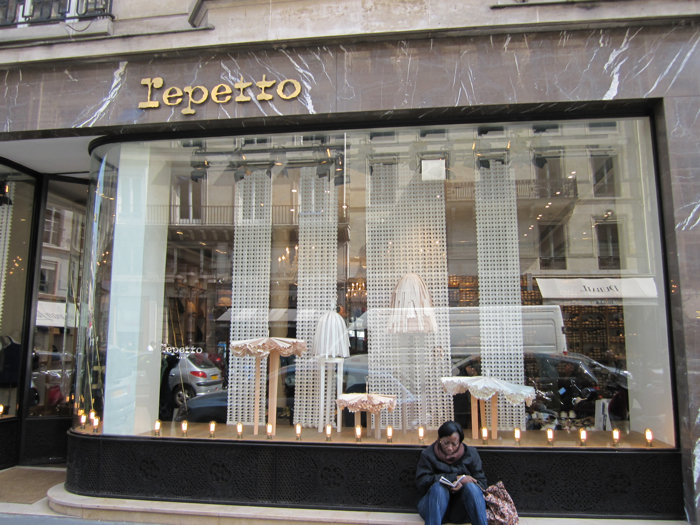 This spring, Repetto has opened two new shops in Paris, about twenty will open in Asia. But the boutique on rue de la Paix, close to Opéra, still is the shop where you have to buy your Repettos. After all they still furnish the made-to-measure pointes for the ballet-dancers of the Opéra of Paris. Mr. Gaucher says that each of those shoes makes a loss. But what can you do? It’s too important for the image. It’s fun to visit the boutique because it sometimes feels like a beehive when girls and ladies from all over the world invade the place to purchase a piece of a French culture and mythology: Repettos from Paris. They are still “made in France” – but unfortunately style is more important today than quality. They don’t last much longer than a summer. But who cares when wearing a myth on ones feet?